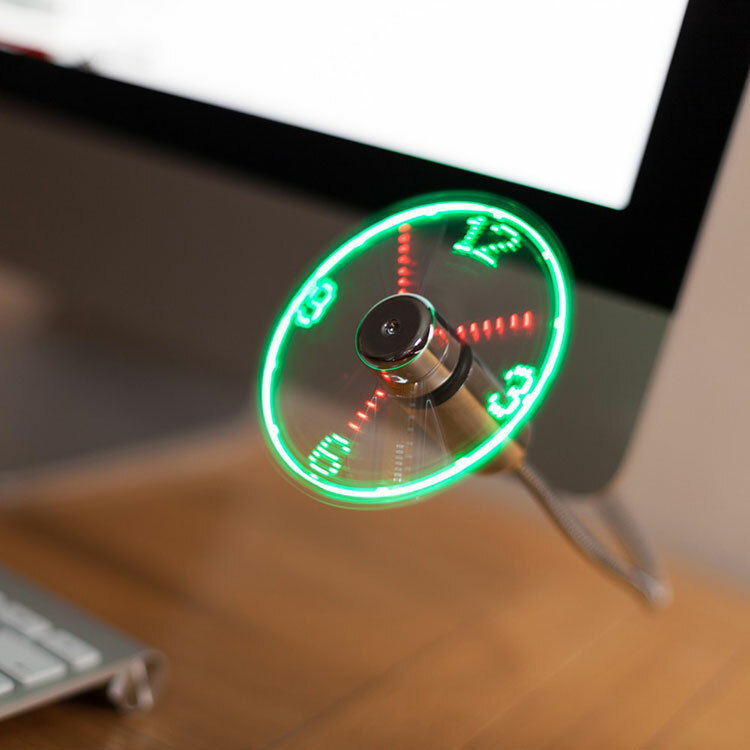 The USB powered fan clock is a fan that attaches right to your computer and has a clock built right in to the blades of the fan using LED lights. 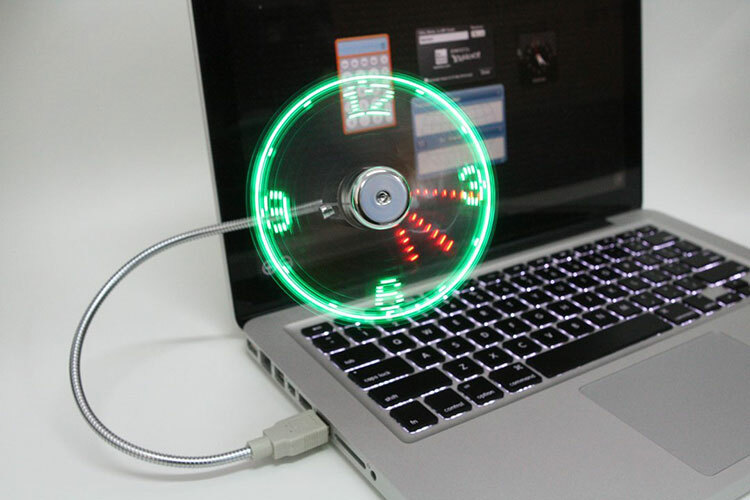 The USB powered fan clock gives you the best of both worlds, it gives a gust of cool air while you sweat in front of your computer looking at questionable content, plus the fan clock also lets you tell the time using big glowing lights instead of having to move your eyes a few inches to the corner of your computer screen. 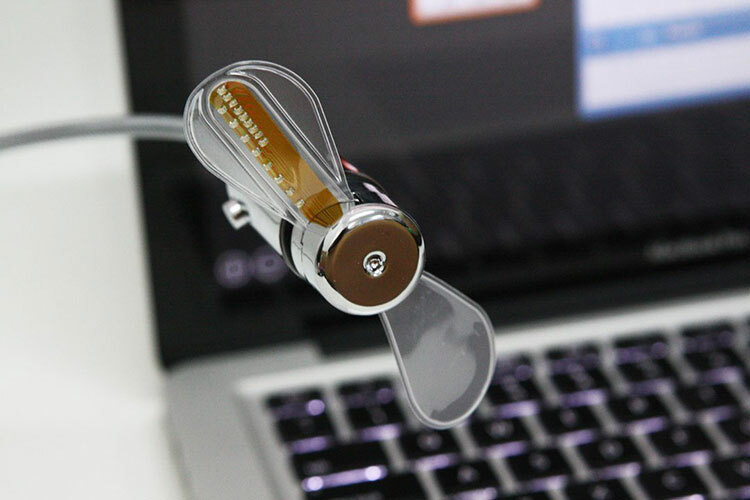 The USB fan clock is made using soft fan blades, which won't cause damage or pain if interrupted. Plus, the device has a flexible neck that lets you position it into any position you need. 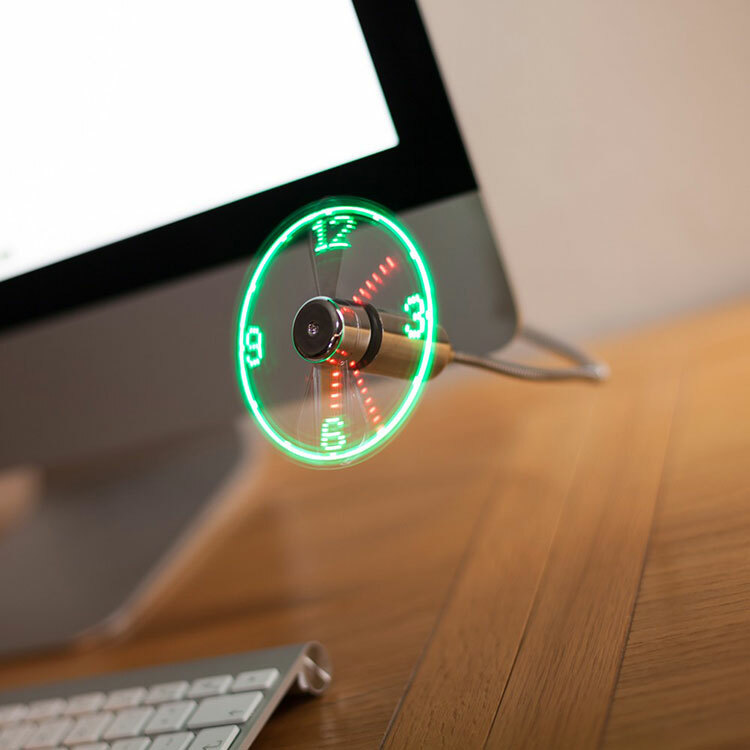 The clock is powered by your computer via a USB port, and works immediately upon insertion. The device doesn't require any software or drivers installation. 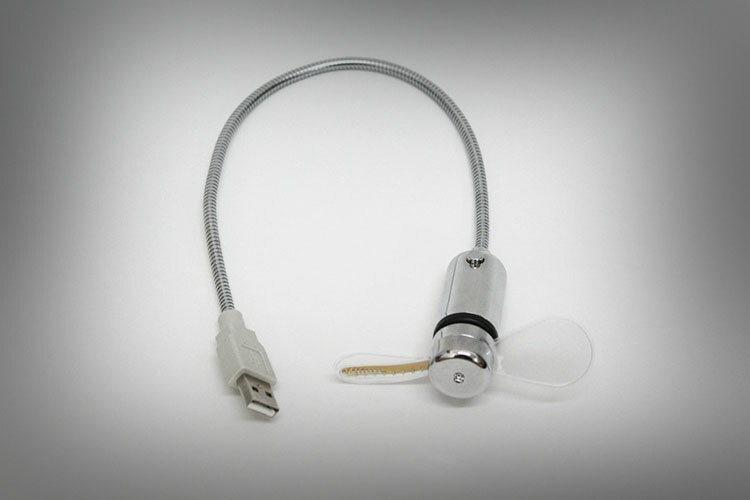 Just insert the USB fan clock into any USB port or hub and then turn it on using the button the body of the device. Click the button again to turn the fan/clock off, and hold the button down to reset the time. 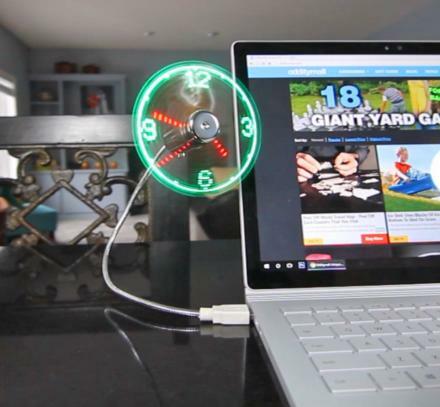 Check out the USB powered fan clock in action via the video below.